Tired of Christmas drinks with cute names and more peppermint schnapps than you can drink in a month? 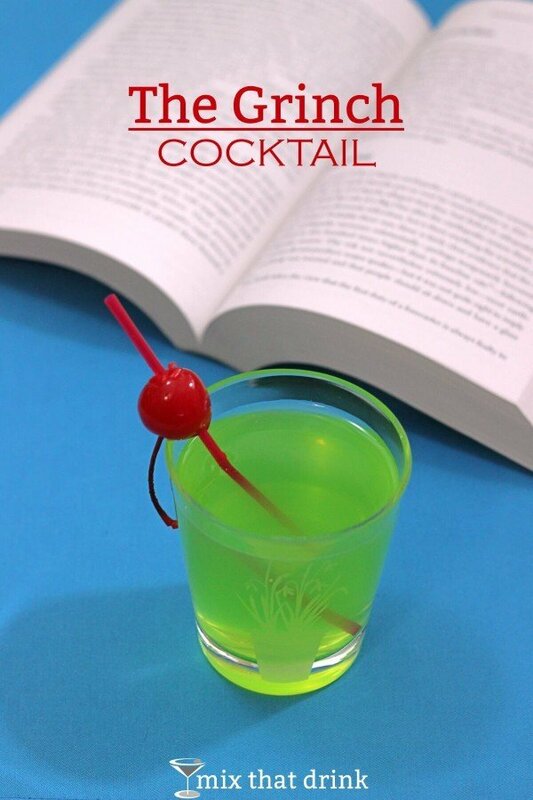 Then the Grinch cocktail is the one for you. 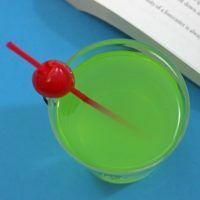 This drink features Midori, lemon juice, and simple syrup. That gives it a tart melon flavor that’s sweet enough to go down easy. It’s one of those drinks that’s easy to love, and sometimes that’s just what you need during the stress the holiday season. Or stressful exam season. Or stressful… Well, you get the idea. Let’s face it. Who doesn’t get the holiday grouches at least now and again during what seems like an ever-expanding eighteen-month Christmas season? Who doesn’t feel a little homicidal once you realize you can’t get anywhere near the shopping center where you need to run an ordinary errand because the blasted holiday shoppers are swarming over it like bees on a hive? Holidays are a nuisance even when they go as well as can be expected. When you find yourself sliding into a 3,452 word rant about commercialism and traffic and the dingbat who took two parking spaces with his Smart car, shut up and have a Grinch. The Grinch soothes that grouchy holiday spirit so you can get back to being your normal, sweet self. Or, well, normal anyway. This drink makes a great afternoon pick me up. It can also make a good dessert drink if you’re in the for something fruity. Midori always reminds me of the sort of really fruity drinks that we had as kids, so sometimes a Midori cocktail can bring back memories a more carefree time. 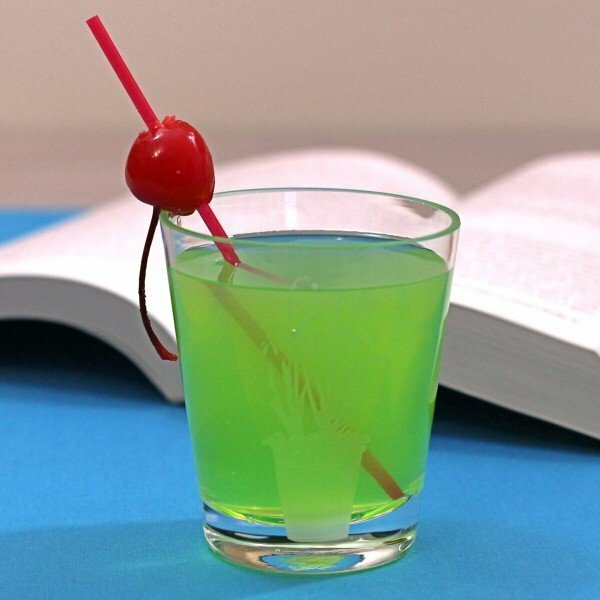 This simple, tasty cocktail blends the honeydew flavor of Midori with lemon juice and simple syrup. It gets its name, the Grinch, from its green color. It's easy to make one drink at a time. But you can also mix up a pitcher of it before a party. Fill a cocktail shaker with ice, and pour in all the ingredients.